Texas residents are no strangers to major storms; however, last Thursday, March 17, 2016, Fort Worth experienced a severe wind and hailstorm that caused property damage to homes and businesses across the city. Two separate storms with damaging hail ripped through eastern Parker County early Thursday morning around 4:00 a.m. Several hours later, another round of hail pelted the Fort Worth area, disrupting the morning commutes of many local residents. While meteorologists anticipated several storms in the area, the severity of the storms came as surprise with hail as big as tennis balls, or 2.5 inches in diameter. Some areas of Forth Worth were subjected to severe flooding when hail clogged up street storm drains, and Fort Worth firefighters had to rescue a woman trapped in her car surrounded by waist-high water. 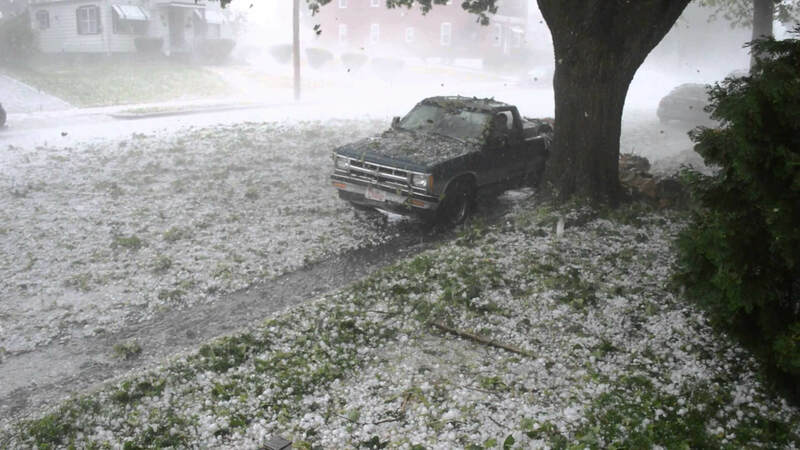 Within the first 12 hours after the storm, over 6,000 auto insurance claims had been filed due to hail damage; and, while it is too early tell how much hail damage will cost property owners, it’s safe to say it won’t be cheap. For some Fort Worth residents, the March hailstorm was particularly damaging because many of their roofs were replaced just last year after another severe hailstorm hit the area. 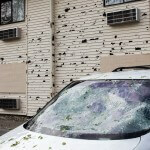 Hailstorms can cause devastating damage to real estate and businesses. Property damage can include roof, interior, exterior, HVAC, and other damages. In addition to property damage, your company could suffer loss of business during the time that it takes to get your building repaired. This might make you entitled to file both a commercial property insurance claim and a business interruption claim. 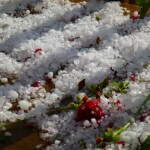 Insurance carriers receive tens of thousands of hail damage claims every year, and they know that most customers are unfamiliar with the specific terms of their policies and usually lack the knowledge to fight back when claims are denied. The attorneys at Raizner Slania have represented insurance companies in the past, giving us valuable insight into how they conduct business. Our experienced team of attorneys has helped home and business owners across the country get the compensation they deserve to repair properties damaged by forces outside their control. If your commercial property insurance claim has been denied, underpaid, or delayed, we can help you get the payments due under your policy. When an insurance carrier acts in bad faith, you have a right to hire an attorney to help you with your claim. Contact the litigation professionals at Raizner Slania today to review your claim.